Get to know Erlang, the increasingly popular programming language widely known for its role in concurrency. 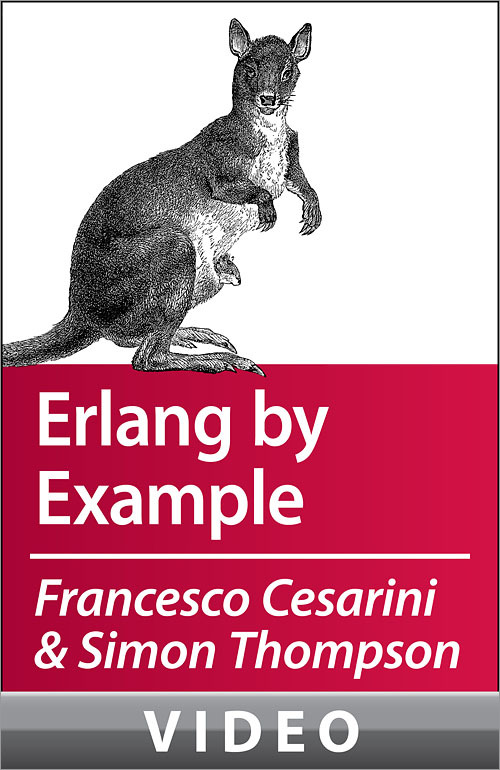 In this in-depth video, Erlang experts Francesco Cesarini and Simon Thompson introduce you to the language with several examples that demonstrate Erlang in action. Once you learn the basics, you'll dive into sequential programming, error handling, and support for concurrency. Then you'll discover how Erlang enables you to quickly and easily write massively concurrent, highly available systems with a fraction of the effort of conventional programming languages. A case study of a client-server application shows you how to put these ideas into practice. The basics—Learn Erlang data types, single assignment variables and pattern matching, as well as functions and modules. Sequential programming—Get up to speed on conditional evaluation, guards, and scope of variables, and then move into recursion, with special emphasis on different recursive patterns, tail recursion, and space-saving optimizations. Concurrent programming—Explore the creation of processes and their life span, and look into sending and receiving messages, selective reception, and passing data in messages. Process error handling—Examine how robust systems are built in Erlang by observing simple but powerful error handling mechanisms in processes. Mobile frequency server—Using the concepts covered in the course so far, we build a client-server system to show how Erlang works in practice.